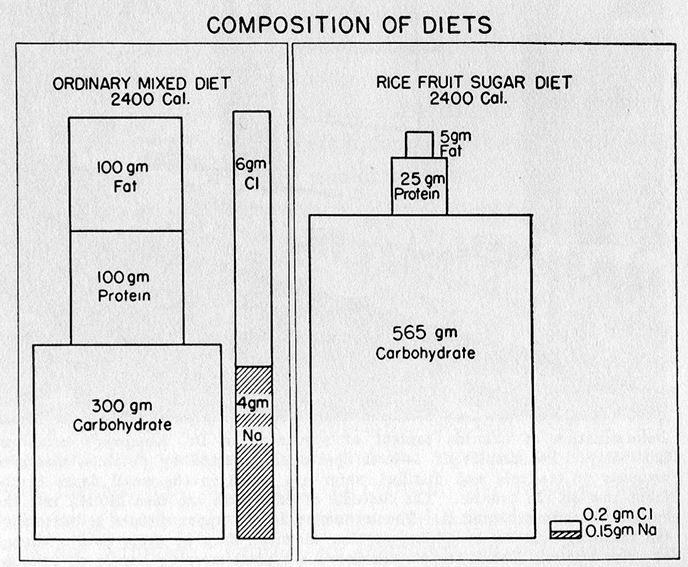 I want to revisit this post about Kempner’s Rice Diet that I posted back in 2014. First, no one is saying or even suggesting that a person should eat only rice, fruit, and sugar. 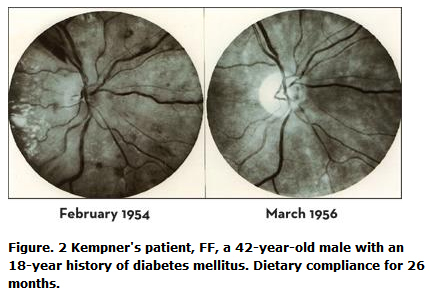 Kempner designed this diet for people with advanced kidney disease. It wasn’t even intended to be a weight loss diet. 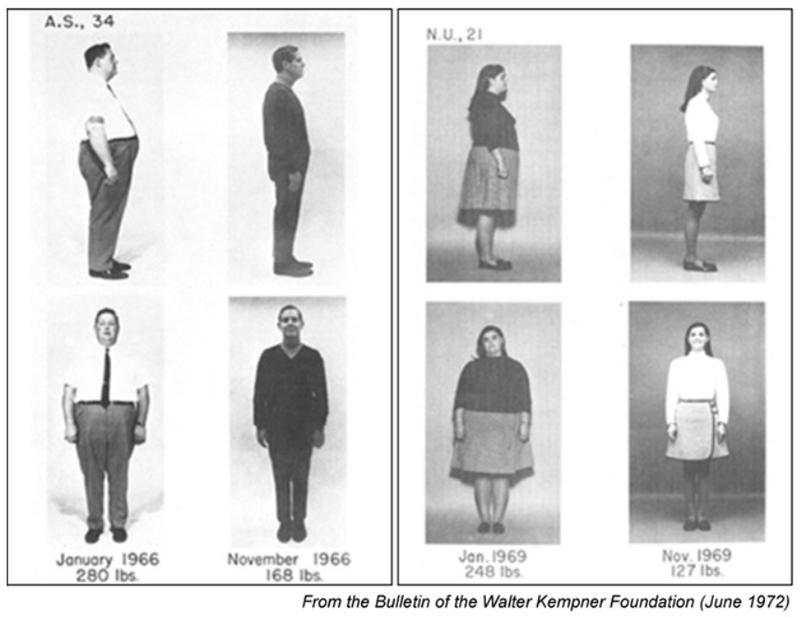 Second, as you can see from the photographs, eating sugar, and lots of it, in some cases up to 2000 calories a day in pure white sugar, did not make people gain weight. In fact, people lost weight. What makes people gain weight? When they eat fat along with sugar. This entry was posted in Uncategorized on November 4, 2018 by Bix. This sounds interesting, I don’t think I could do the original diet but I will get the book The Starch Solution from the library. Thanks for posting this.